Delicate pink standards. 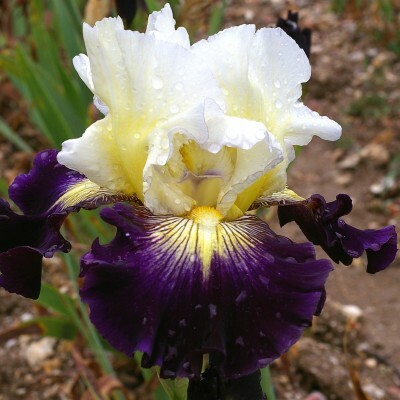 Deep rose-violet plicata markings and peppering on edge of falls which have a white background. 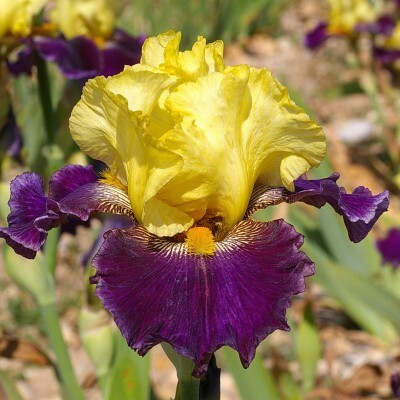 Yellow beards. 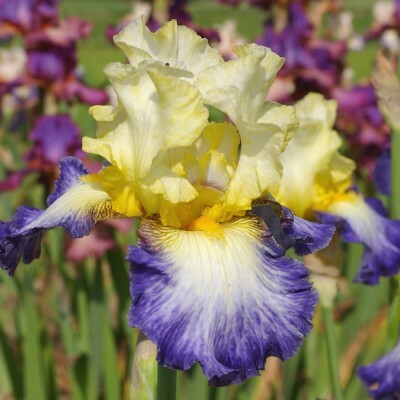 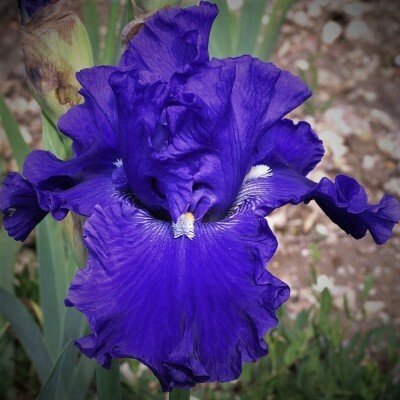 It is a robust iris with large flowers and 8 to 9 buds.